Hi!!! Sorry for the late post!! But better late than never, right?? ;-) Ok, so some new amazing polishes are here to review from Dolly at Dollish Polish!! And let me tell you, they are simply amazing!!! Plus they are based off of cartoons, which makes me love these even more!! You can purchase Dollish Polish at HERE at DollishPolish.com or through HERE at Llarowe. However, both shops are sold out of the pretties I'm showing here today. A great way to stay up to date with restock information is by following Dollface22772 (Dollish Polish) on Facebook and Llarowe on Facebook. Both are also on Twitter - @DollishPolish & @llarowe and Instagram - @Dollface22772 & @llarowe. Ready for swatches??! Up first, It's So Fluffy, I'm Gonna Die! For It's So Fluffy, I'm Gonna Die, I used 2 coats along with KBShimmer Clearly on Top! This is based off of the movie, Despicable Me. Here is a quick clip of where the name comes from! I absolutely love the glass flecks in this! Plus all the pink!! And circle glitters!?? Plus those big pink hexes are awesome! Squares too! Close Up!! This is seriously the prettiest pink!! A must have in my opinion! I'm in glitter heaven I think! I started with three coats of OPI Rumple's Wiggin'. I then applied 1 coat of Crystal Empire along with KBShimmer Clearly on Top. LOVE these huge circle glitters that are holographic! And the beautiful moons, stars, and smaller circles! This is just such a fun glitter topper! I wanted to try this over blues, pinks, purples, black, etc. haha I can't wait to wear this again! This is based off of the cartoon, My Little Pony! 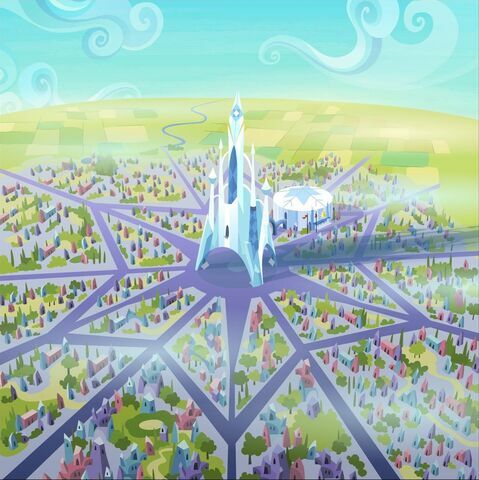 Here is a picture of the Crystal Empire! You can see in the bottle the holo big circle glitter! YUM! Next....Who Lives In A Pineapple Under The Sea? For this mani using Who Lives In A Pineapple Under The Sea?, I used 2 coats along with 2 coats of KBShimmer Clearly on Top. I did add the extra top coat to make sure it was smoother! Here is the theme song to the cartoon, Spongebob Squarepants! Are you going to be singing it all night too? LOL Anyway, I LOVE the stars in this, plus it totally reminds me of the cartoon Spongebob Squarepants! And the light blue shimmer through this is beautiful! It's subtle, but I love it! And there are these white glitters that are thicker, but they look so so cool through the white base! Since they are thicker though, I do recommend a thick top coat, or like I did, an extra coat. It is definitely worth it though! Isn't this awesome? Close up! You can see the blue glitters/shimmer in it! I hope you enjoyed this post!! In case you missed above, you can purchase Dollish Polish at HERE at DollishPolish.com or through HERE at Llarowe. However, both shops are sold out of the pretties I'm showing here today. A great way to stay up to date with restock information is by following Dollface22772 (Dollish Polish) on Facebook and Llarowe on Facebook. Both are also on Twitter - @DollishPolish & @llarowe and Instagram - @Dollface22772 & @llarowe. I especially love the first two. Awesome.